These were the inspiring words of the ABS-CBN Lingkod Kapamilya Chairman Eugenio Lopez III during its inaugural Araw ng Pasasalamat held at the Dolphy Theater of ABS-CBN on November 16, 2016. Around 150 donors, volunteers and partners of the Foundation gathered together to witness a live presentation of the Foundation’s accomplishments for more than two decades. 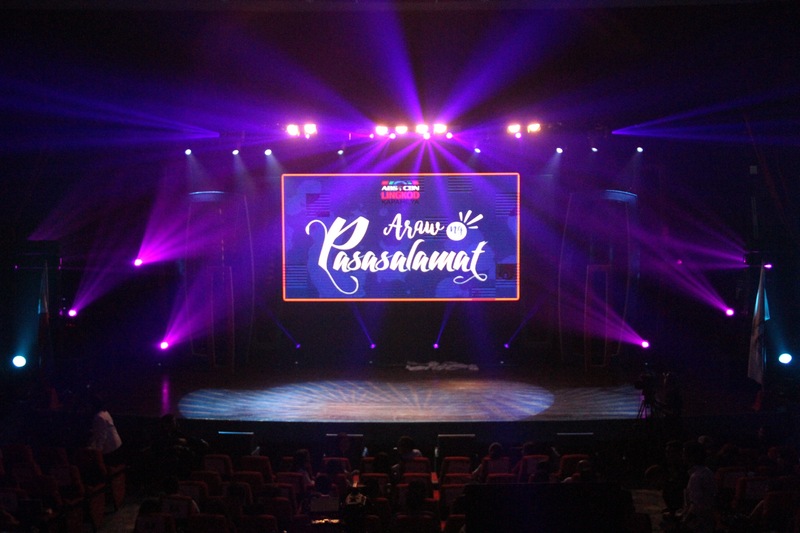 The Araw ng Pasasalamat was staged to acknowledge the trust and generous support of the donors and partners that is the main driving force of the successes of the foundation’s causes. “It is our live accomplishment report. So to you, our dear partners in public service, this is our gesture of sincere appreciation for your support in our Lingkod Kapamilya programs,” ABS-CBN Lingkod Kapamilya Managing Director Susan Afan expressed. The achievements of the three major programs of the ABS-CBN Lingkod Kapamilya were presented by its program directors namely; Jing Castaneda of Bantay Bata 163, Jen Santos of Bantay Kalikasan and Jun Dungo of Operation Sagip (formerly known as Sagip Kapamilya). ABS-CBN Lingkod Kapamilya Chief Finance Officer Noemi Samson expressed gratitude to sponsors who supported the important causes of the Foundation in general. Current DENR Secretary Gina Lopez, who was at the time in Marrakesh, Morocco, delivered an inspiring message for all the donors, volunteers and partners. “From my deepest heart of hearts, I want to thank you for all the support and all the love that you have given the ABS-CBN Lingkod Kapamilya all these years,” she said. Lopez pioneered the Foundation’s programs and ensured its sustainability through the years. Special thanks to the artists who made the Araw ng Pasasalamat event enjoyable: Dulag Youth Task Force, Jed Madela, Vina Morales, Jovit Baldovino, Liezl Garcia, Young JV, Erik Santos, Sitti Navarro, Michael Pangilinan, Jason Dy, Morisette, Kyla and Klarisse and to the hosts: Tina Marasigan, Bernadette Sembrano, Atom Araullo and Dawn Zulueta. See here the photos of the event!